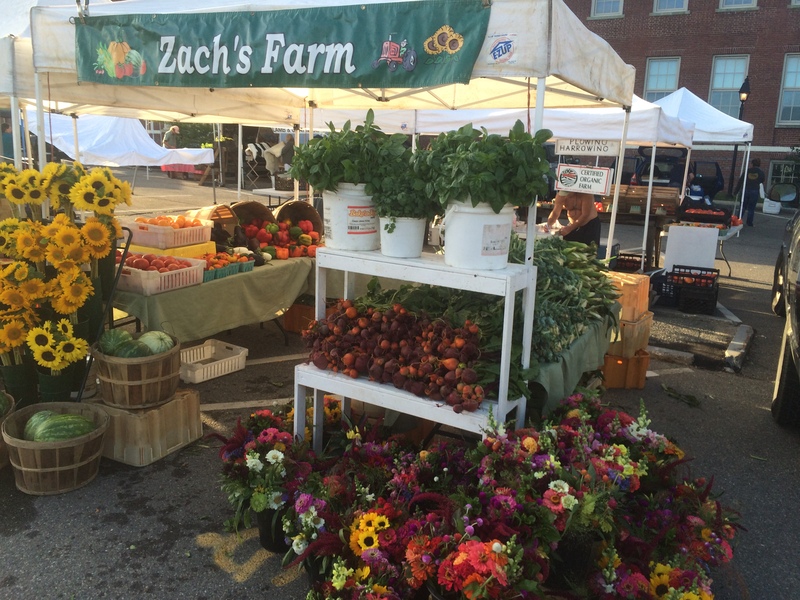 Zach's Farm is a 3rd generation vegetable farm out of York, Maine. Famous for it's picked fresh daily, non gmo sweetcorn, amazing melons, and fresh cut flowers. Also grown, tomatoes, green beans, Brussels sprouts, root crops, greens, herbs, squash, pumpkins, gourds and fall decrotives. Zach's also offers pumpkin rides, field trips, and an 8 acre corn maze September and October. The road side stand at 371 Cider Hill Road in York opens mid July through Columbus Day. You can find Zach's at 5 sea coast area farmers markets as well. York, Portsmouth, Exeter and Kittery. When it's comes to product you won't find many farmers as crazy as a Zach on taste and appearance because we pick and sell fresh every single day. Sweet corn, melons, tomatoes, beans, asparagus, root crops, greens, herbs, pumpkins, gourds, miniature fall decrotives, summer and winter squash, cukes, pickling cukes, peppers, Brussel sprouts, broccoli, and cauliflower. Cantaloupe, watermelons and specialty melons.